—Optional: Fresh basil, oregano, garlic cloves, or try all three! 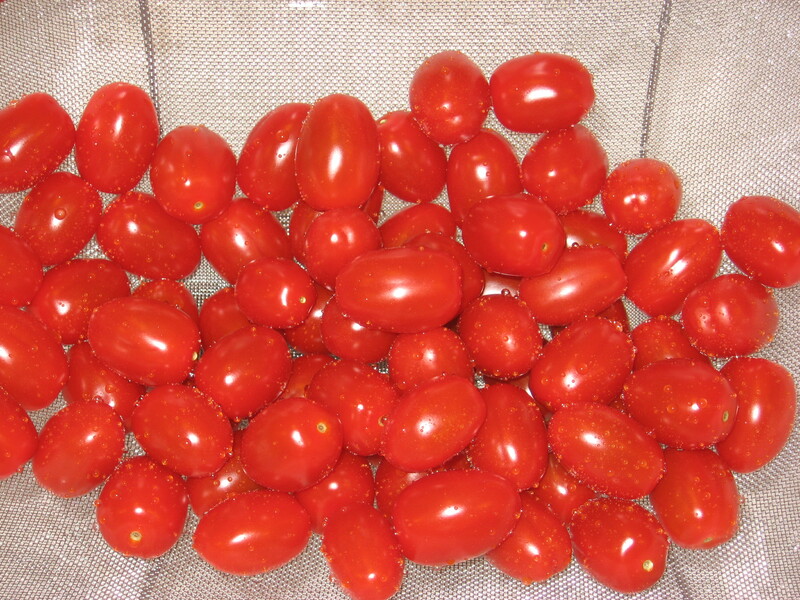 –Rinse tomatoes thoroughly with cold water. Dry using a clean kitchen towel. –Line your baking sheet(s) with non-stick foil. 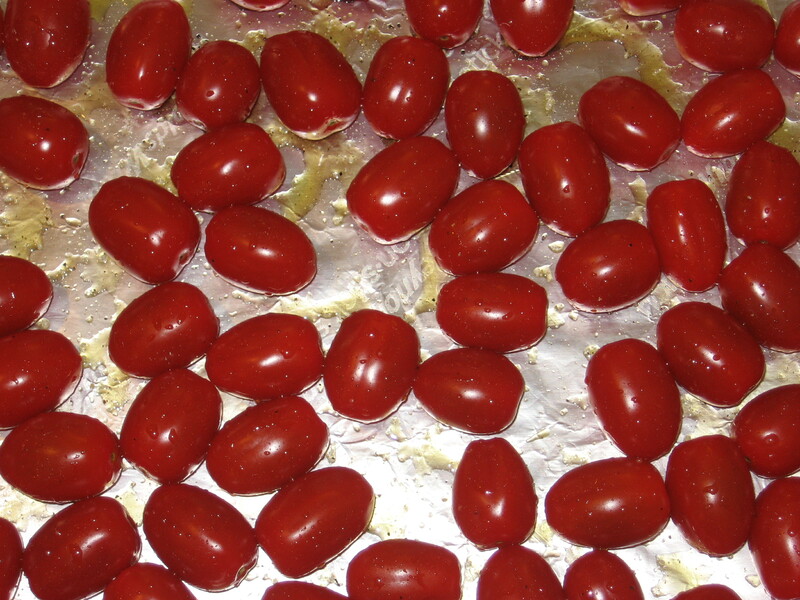 –Loosely arrange tomatoes on lined baking sheet. –Drizzle with olive oil and lightly salt and pepper. Using your hands, roll the tomatoes around so that it they are coated with the olive oil mixture. Note: If you’re using fresh garlic gloves, place them on the baking sheet alongside the tomatoes. Or simply sprinkle the tomatoes with garlic powder. 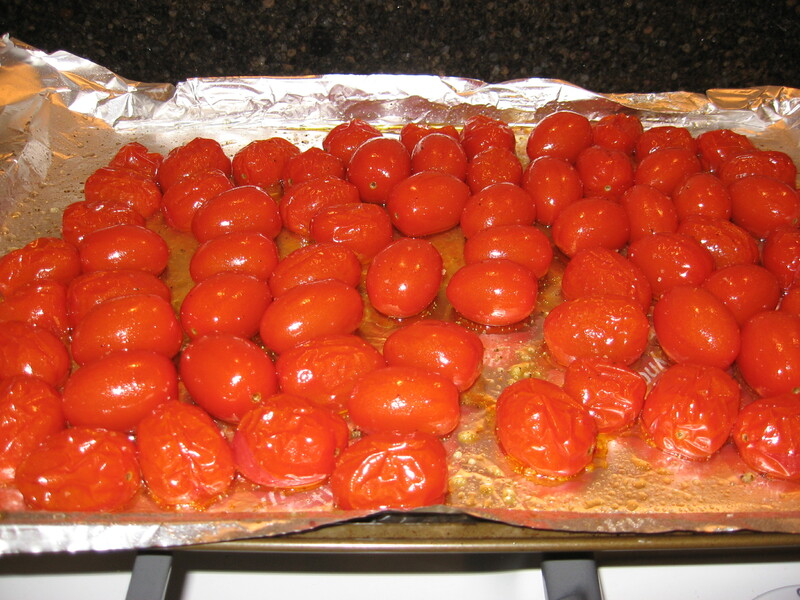 –Place in center rack of oven for ~12 minutes, until the tomatoes begin to burst. —Empty the contents into a mixing bowl. If you’ve been boiling pasta while waiting for the tomatoes to cook, scoop a cup or so of the cooking water and add in with the tomatoes. 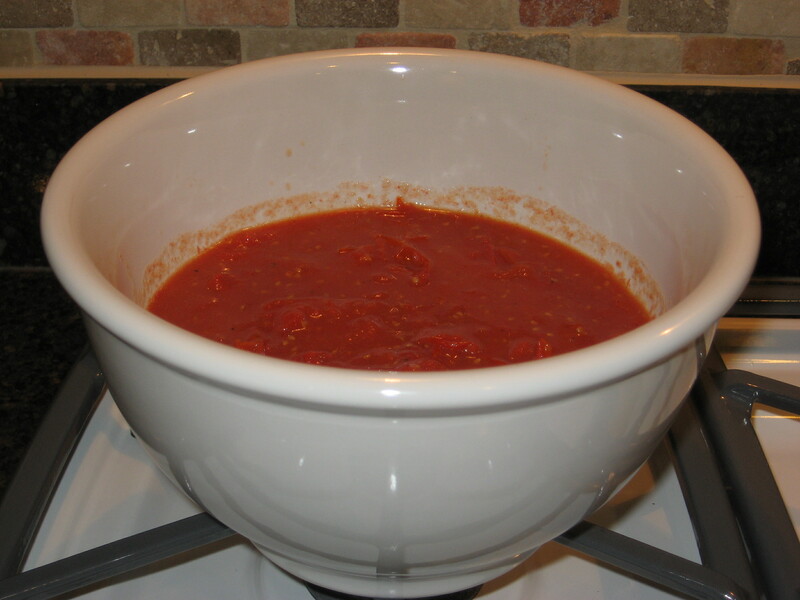 This optional step will help the sauce adhere more evenly to the cooked pasta. –Press the tomatoes firmly and repeatedly using a potato masher until you achieve your desired texture. 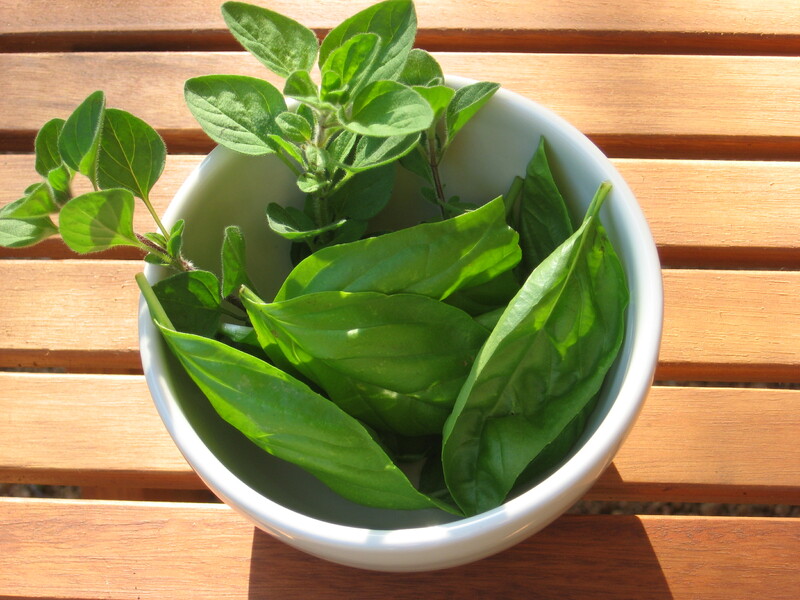 –Add fresh chopped basil or oregano or both! You can freeze the sauce for later use, just avoid adding fresh herbs to the portion that you plan to freeze, as they tend to become mushy once frozen. –Top pasta with your fresh home-made sauce, some parmesan cheese, and serve alongside The Only Salad You’ll Ever Need To Make. This is a great recipe. So easy, and quick, and tasty. Thanks for sharing with us. 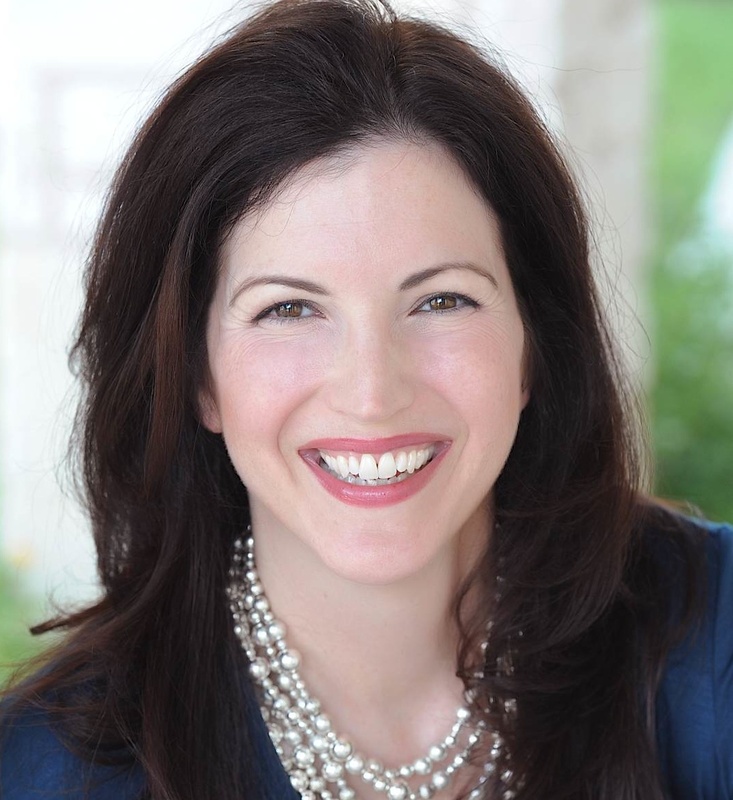 So glad to hear – thank you!